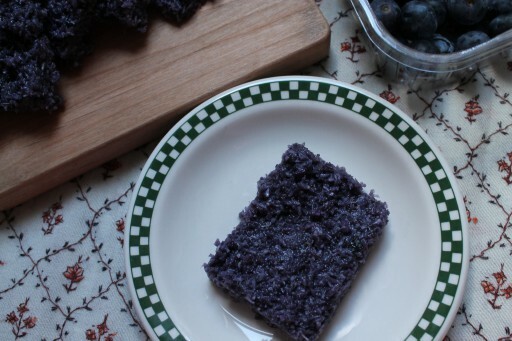 We put blueberries in your tried and tested, age-old coconut burfi recipe that absolutely does not need changing. And it was good, good, good. YOLO. Step outside your comfort zone. 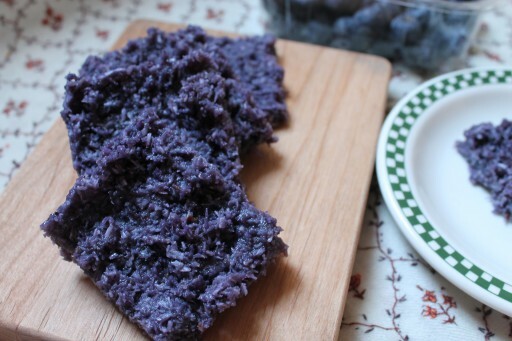 In a non-stick pan, cook the blueberries and water together gently on medium heat, stirring and mashing the blueberries as you go. After about 10 minutes, you should have a reduced blueberry coulis. Add the coconut, sugar and condensed milk. Stir so that everything is fully incorporated. Stir and cook over medium heat for 15-20 minutes until the mixture comes away at the sides and comes together – almost like a dough. Stir in the cardamom essence and coconut oil. With a metal knife or spoon, press the mixture into a greased baking dish so that it is about 2-3cm thick. Leave to cool. Refrigerate for at least 30 minutes – 1 hour until firm. (We left it in the fridge overnight). 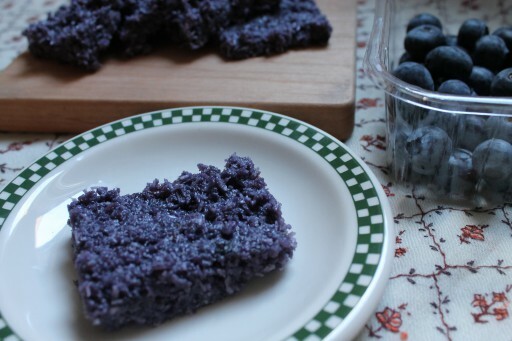 With a sharp knife, cut into squares and enjoy immediately. Alternatively, store for a few days (if you can stay away) in the fridge. I love barfi! I must try this one too. Great! Let us know how you get on! Yes you must, it’s so easy. But you absolutely have to use a non-stick pan otherwise you’ll be trying to clean it until kingdom come!